Including D Day 70th Anniversary Normandy Trips, Scapa Flow and Eyemouth Tech Trip. Ken has already been hard at work planning some trips for Diversonline for 2014. 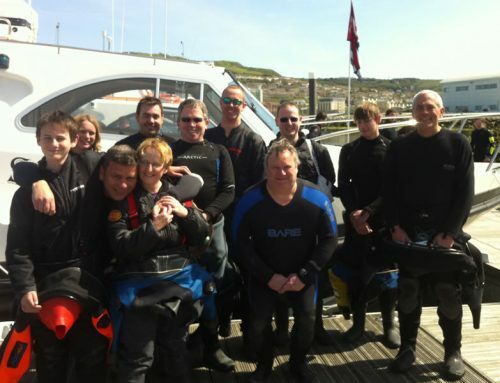 2014 may still seem like a long way ahead, but Ken has earmarked certain specific trips and has selected, in consultation with the skippers, some of the best diving the UK has to offer. These trips include 2 special week long trips for the 70th Anniversary of the Normandy landings, a Scapa liveaboard, and an Eyemouth technical wreck trip. Spaces are limited, so think about planning ahead and book now! Full details of the trips are available on the Diversonline website and I have also updated the dates and trip outlines in the club calendar.